A little battered from the wind, but it should be okay. It has snowed a couple of times, but the plant is under the porch roof, so it has done fine. 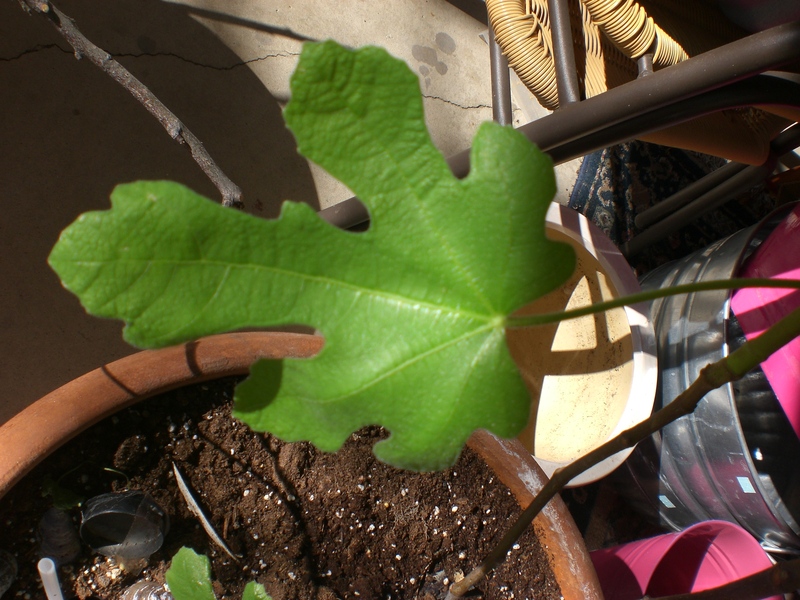 The spring winds have torn up some of the bigger leaves, but there is new growth, so I think the move was successful. The next step will be to move it into full sun. And hope it doesn’t snow again. Welcome to Colorado.